Babyface sells uniquely designed quality products at affordable prices, that inspire both children and parents alike . Through our designs we help our customers create rooms to remember for their children. 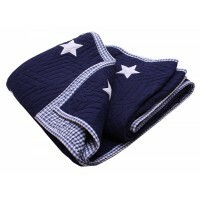 From duvet bedding to cushions, rugs to storage bags , we provide the whole soft furnishing solution . Babyface is a sister owned homegrown company set up by Aileen and Grainne in 2004 .The lack of beautiful bedding available inspired them to create their own and today they both run a successful brand that is continually growing .We aim to be the No. 1 choice in the childrens interiors market.